Finally! 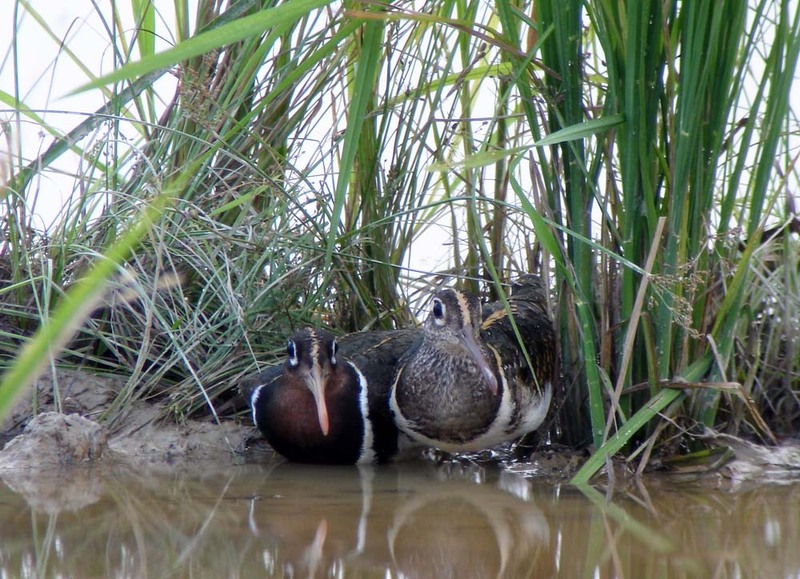 A pair of Greater Painted Snipe Rostratula benghalensis. A phone call from Denis (thanks, bro!) sent me rushing to a rice paddy by a very busy road just outside Kota Kinabalu. Well what do you know, it was the exact spot I stopped just two days ago and from which I saw nothing. In the scope, in fading light, we saw that the birds were incubating 1 egg and in a most precarious nesting spot. It was right in a corner of a half ploughed rice paddy and in a distance there were 3 tractors which had just called it a day. And tomorrow??? I just have to content myself that these are highly secretive birds and that they are actually more common than they are seen.